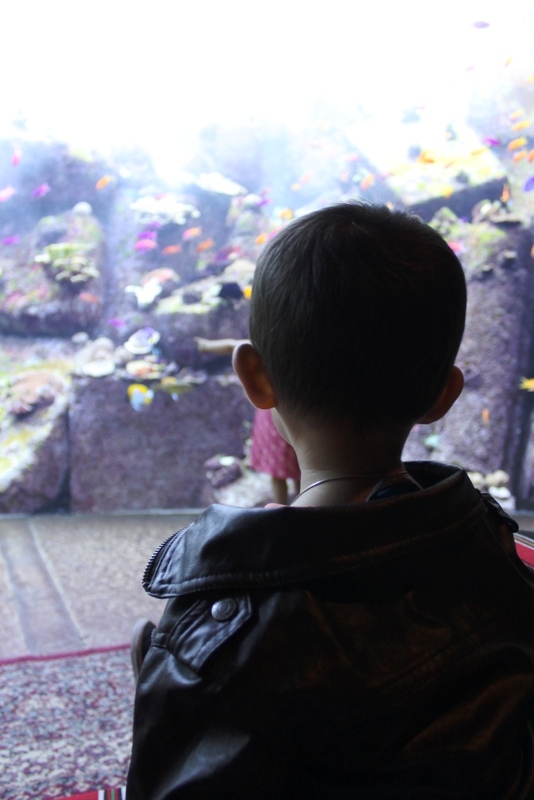 On Sunday afternoon, we headed off to the Palm Atlantis to check out The Lost Chambers Aquarium. 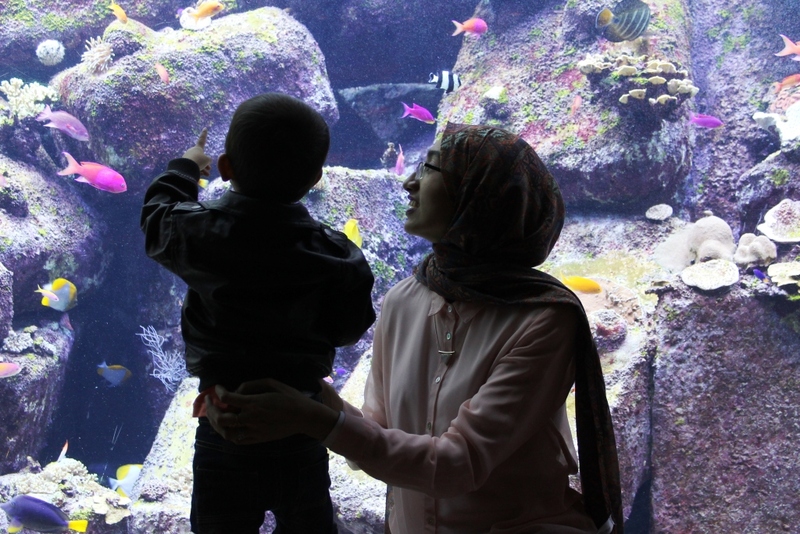 Having treated Baby Z to The Dubai Aquarium and Underwater Zoo on his last birthday, we thought this would make the perfect early birthday gift for him as his 2nd birthday is next month! Eeek! 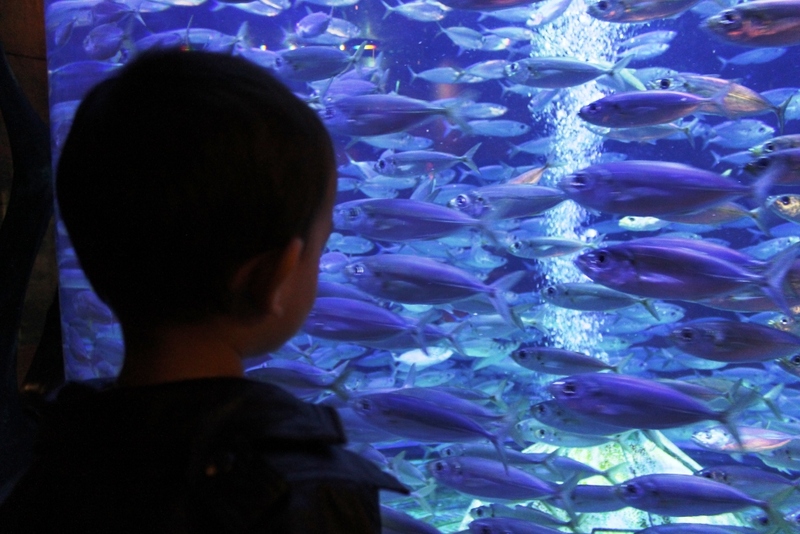 He is still just as obsessed with fishes as he was last year, and in fact “Fish” was among his first few words too, except he cutely pronounces it “Feesh“. 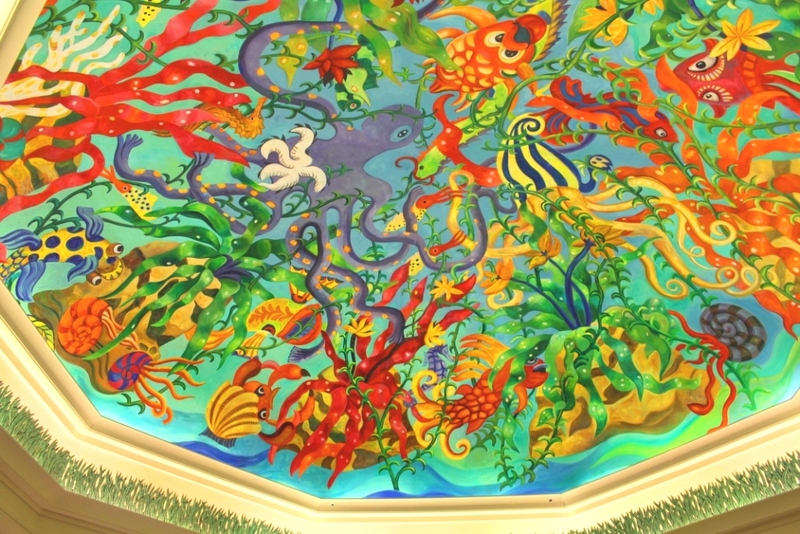 Upon entering inside, I began admiring their sea-life inspired painted ceilings, as photographed above. They were just so pretty to look at, and injected life and colour into the place. 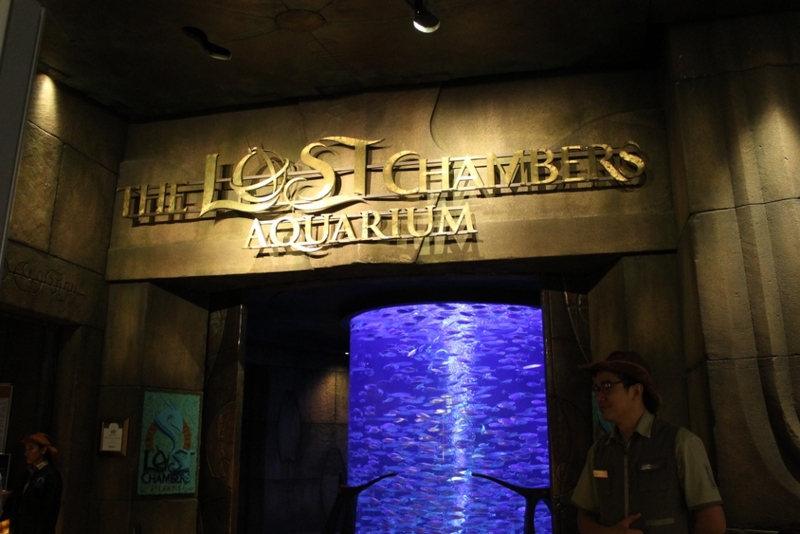 The Lost Chambers Aquarium was further in, and not too hard to spot. 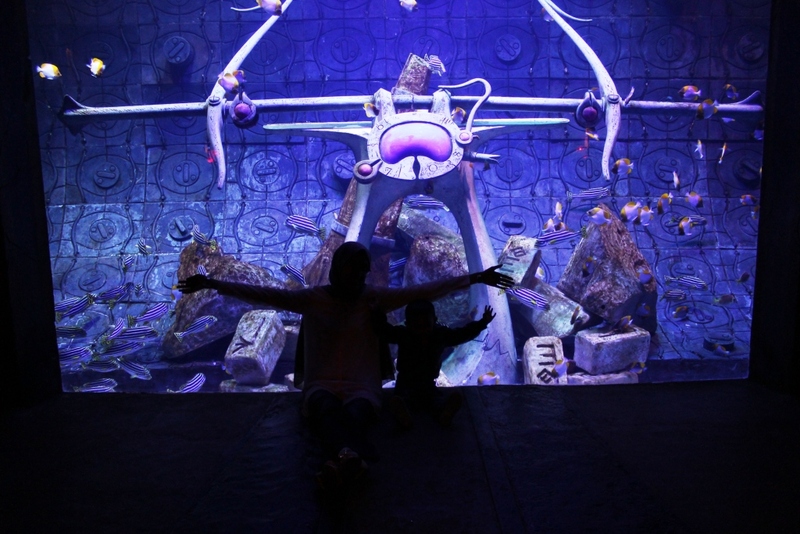 The entrance was quite dark, which in turn illuminated the giant cylinder fish tank at the entrance even more, creating a very mystic feel. Of course, Baby Z couldn’t get his eyes away from it, and after collecting our tickets, we hurried in, buzzing with excitement. Baby Z was pretty much “blown out of the water” so to speak, and was mesmerised from the very start. 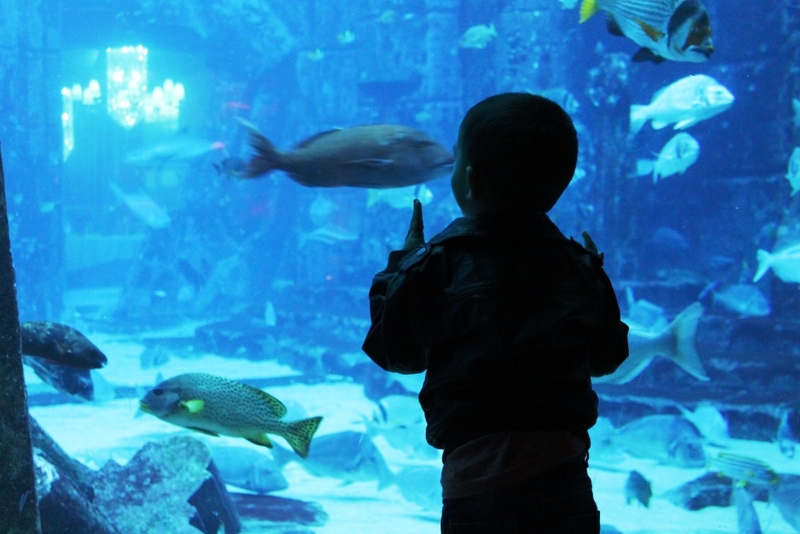 The fish tanks were ginormous and the water was so clean that you could see to the other side of it, and every fish in between. There were so many species of fishes, and pretty much every second, I was caught saying “Oo look there, oo look at that one, oh wait, look at this fish!” The jellyfishes were just as captivating, as they bobbed to and fro, seeming to change their colours as the lighting changed above them. The freakiest part for me was the lobster tank, as there were SO many in there. Even scarier though was the fact that the tank was not only on either side of you, but also above you, a tunnel of lobsters if you like! The crustaceans could be seen crawling up and sadly I couldn’t stay any longer without getting goosebumps. 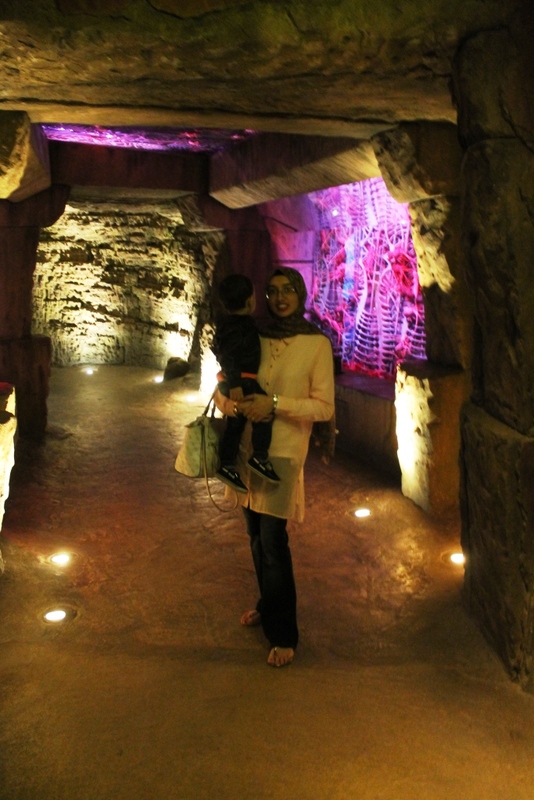 My favourite part was the majlis seating, which made it so easy and comfortable to sit and really enjoy the view. 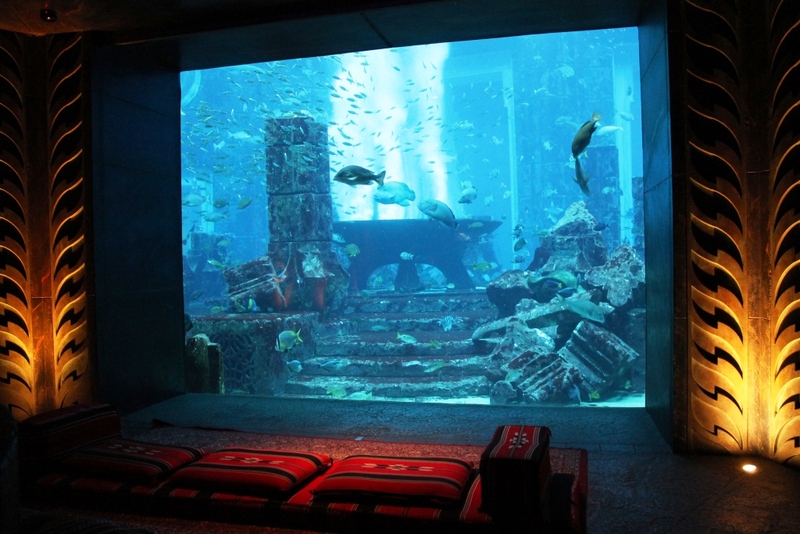 I don’t think I’ve come across any other aquariums that offer comfortable floor seating like this one, and I was glad lounging around was encouraged in The Lost Chambers. Add to that some peaceful music playing in the background, and it was heaven on earth. At least for my toddler anyway! 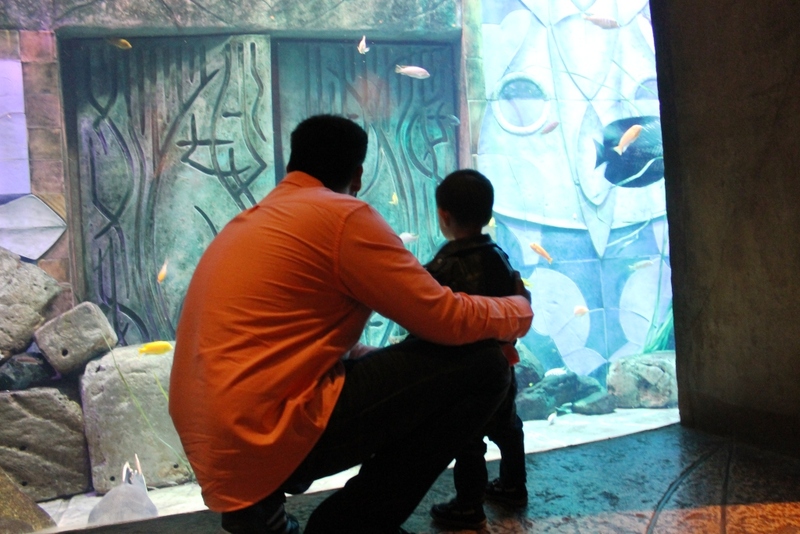 We really could have spent hours just looking at the fishes, sharks and sting rays swim by. 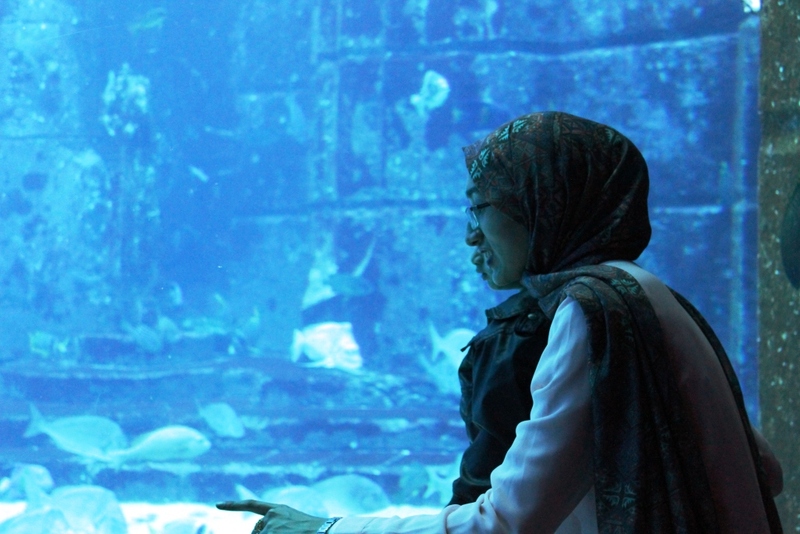 Another tank that gave me a shock was the one pictured above with fishes of gigantic size. Check out the human for scale! (Mr Z is 6 ft tall by the way!) They really were so huge, and I loved the juxtaposition of placing the tiniest of fishes in the same tank to exaggerate their sizes. I only wish I knew what they were called, and would have appreciated some kind of signage near the tanks to give me more information about the fishes. There were two baby albino alligators too which were rather small but could be viewed very closely. They were truly beautiful creatures, and I don’t really want to spoil it for any one wanting to see by showing you any photos of them. The last fish tank before the exit and Souvenir Shop was one filled with the most colourful fishes. 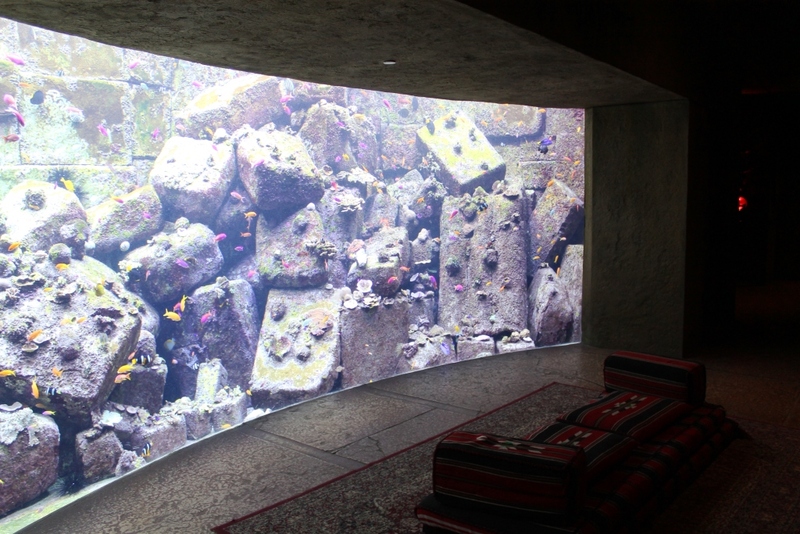 I spotted plenty of Dory (from Finding Nemo) and again the majlis seating provided a relaxing end to our experience. 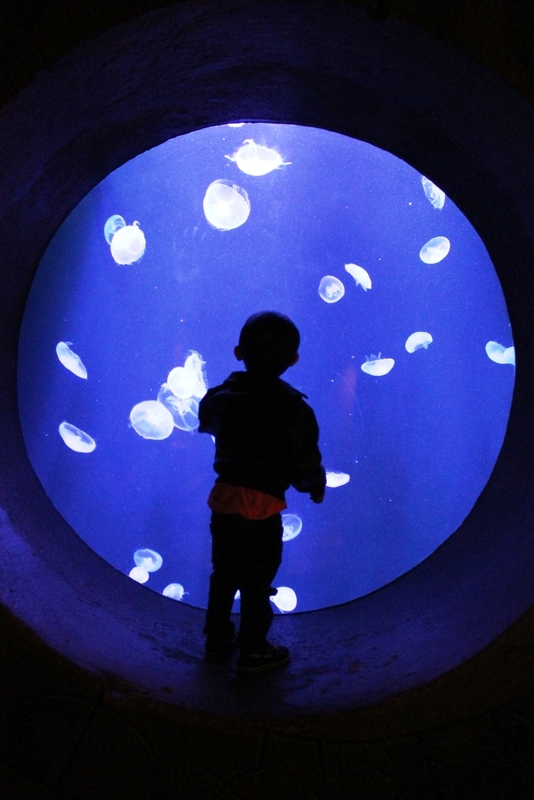 It was shocking to see Baby Z sit for longer than 5 seconds, as he too was busy admiring the sea life before him. 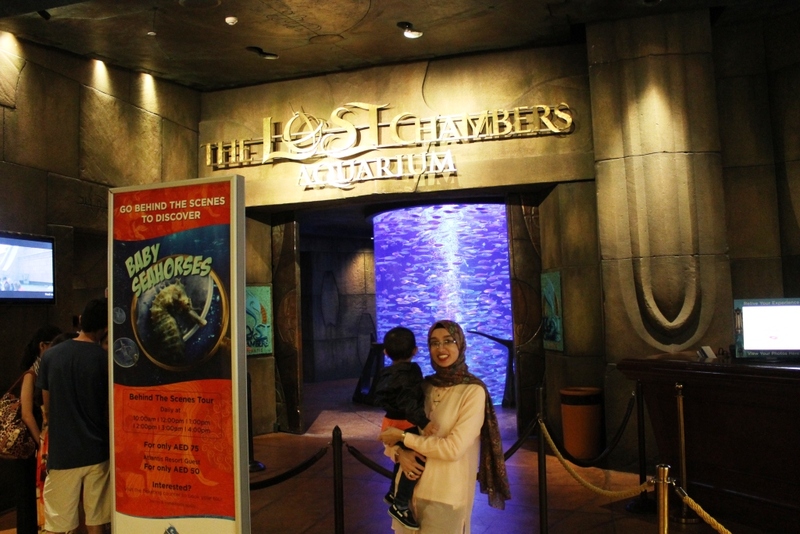 Over all we had a great experience at The Lost Chambers Aquarium, and if you have any sea-life obsessed children, then it is definitely worth a visit. We managed to complete the full circuit of tunnels and aquariums in just over an hour, with Baby Z stopping half way for a banana that I had packed because i knew he would get peckish. 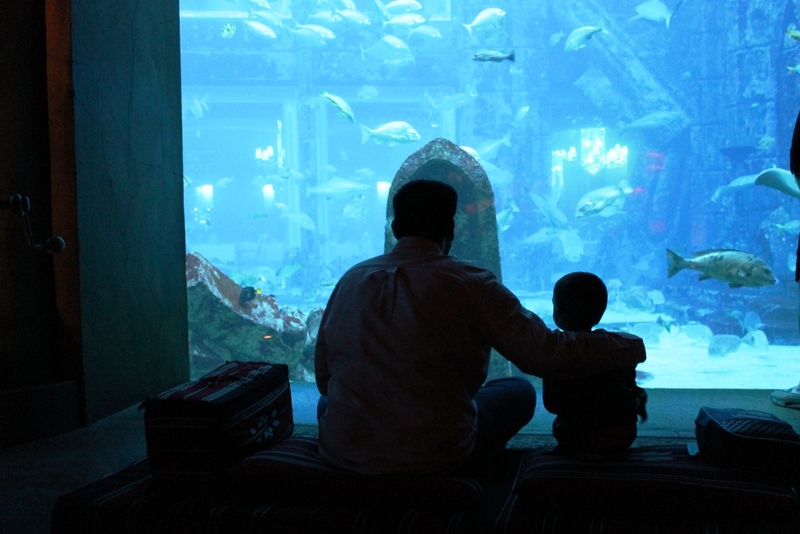 The tickets are priced at AED 100 per person, with children under 3 being admitted for free! For more information or bookings, head on over to their website here. Note: This post is NOT sponsored in any way, and as always, all opinions expressed are honest and solely my own. I really do love the ambiance at The Lost Chambers. It’s a great place to spend a couple of hours. What a lovely birthday treat for your son Zeyna. This is one place we haven’t explored and looking forward to see it. Such a fun day out with Baby Z and a perfect early gift. We haven’t been yet but your experience makes me want to take Little A there very soon. It really was! And yes, your little one would love it, I’m sure! 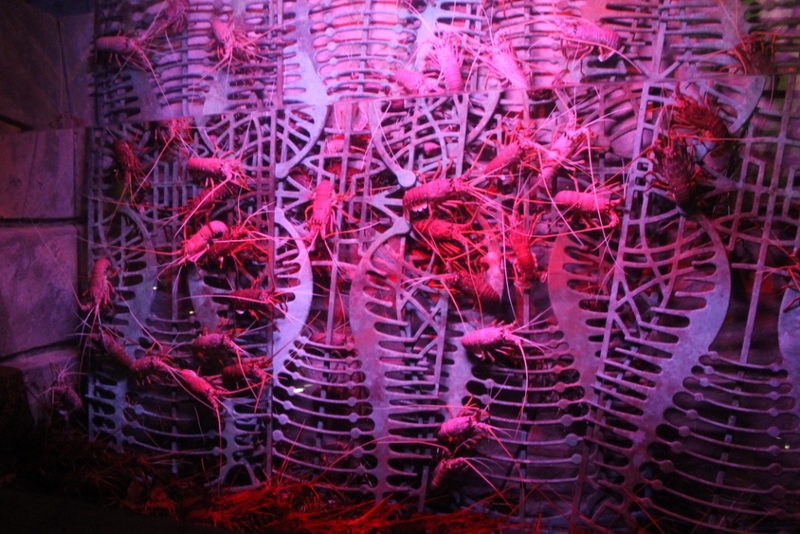 Though watch out for the creepy lobster wall!